That looks soooo crispy and good! We are an eggplant loving family but I tend to stay away from making any recipes that involve frying. After reading your review and gazing at your scrumptious photos I am changing my mind! What an impressive recipe! Vegetarian with a Mediterranean touch, light and summery. 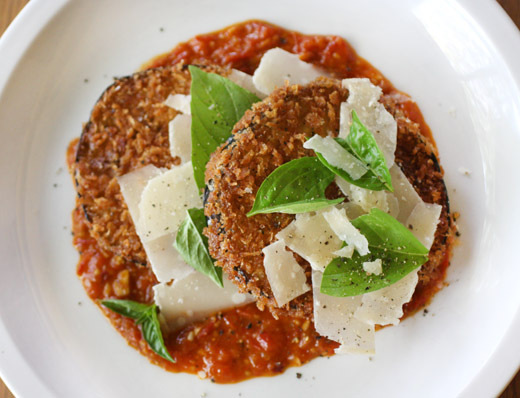 i've had a craving for eggplant parmesan - this sounds incredible! definitely will be making this soon! anything Eggplant. Looks lite and so yummy. It looks delightful! 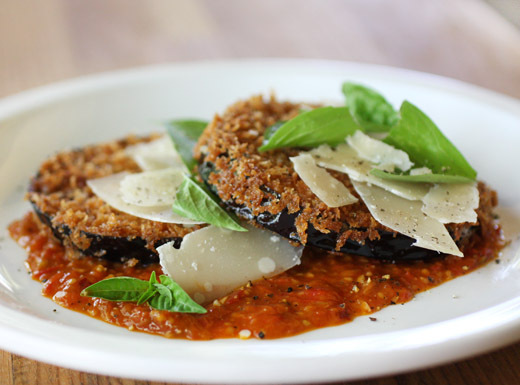 Love those parmesan encrusted sliced eggplants! Apparently I'm going to have to check out this restaurant AND this book!! Sounds like one of the best Italian food cookbooks I've seen in a while. I love eggplants baked in the oven, I just made some last night. Italian food is all about the ingredients, indeed. As much as I cook Italian everyday I need to get some inspiration, thanks for the book reccomendation. It's hard to beat fried eggplant - it becomes a whole 'nother veggie when fried. So good. Great sounding dish - thanks. Isn't it great when you learn new ways of doing or looking at things in a class. It sounds like you had a great time and the eggplant looks fantastic! I've fallen way behind in my blogging and blog visits, but I took the time this evening to read through your last 5 posts and love them! You are a girl after my own heart, for sure. Looks delicious this eggplant with the cheese and the tomato sauce...like the crispy layer...yum! The flavors sound so good...the dish has a very comforting appeal about it. Eggplants love tomato sauce and cheese! I cooked eggplants today but I wish I had seen the post earlier. The eggplant has full of energy and delicious taste. You have served a superior grilled eggplant drizzled to cherish everyone. I will prepare such healthy breakfast recipes for family and share my experience soon. It looks so chrispy and delicious. I like it a lot. 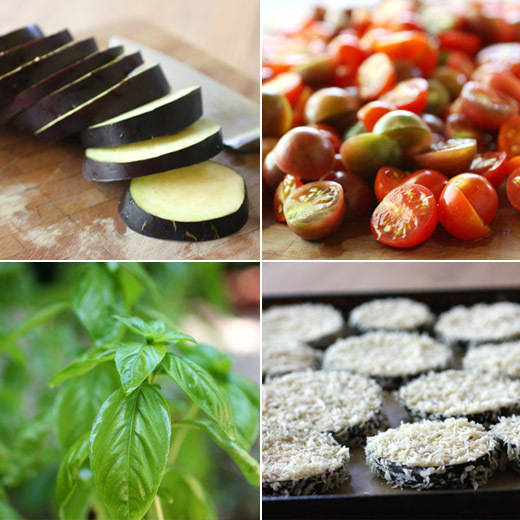 Ohhh I adore this twist on a usually heavier eggplant parm... lovely! And I think you just sold me on this cookbook. I love Italian food but a modern, lighter twist makes it tastier and more fun!